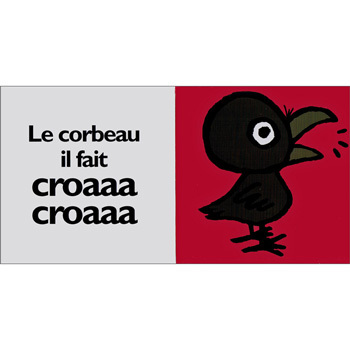 Le livre des bruits is a colourful and bold French-langauge board book that is all about different noises and how they are described in French. 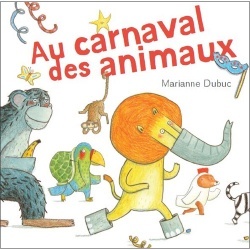 Each double-page spread features a colourful illustration alongside a simple sentence, e.g Le chat il fait miaou, La vache elle fait meuh etc. It makes reference to various animal sounds, as well as noises of household objects and things around town, such as clocks and sirens. 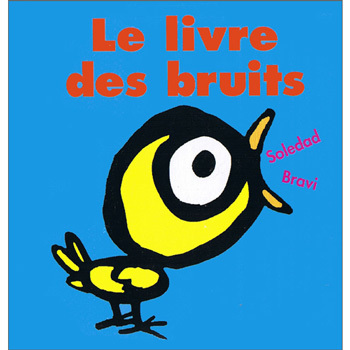 Le livre des bruits is written entirely in French as it is aimed at native French speakers but the language is very simple as it is aimed at very young children. 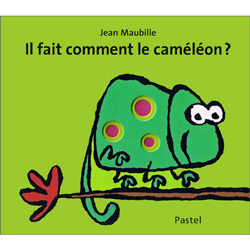 Very cute, parents , esp Dad, loved it...of course, being French, one of the pictures was of a pistol. I hope that won't keep you from getting the book--a teaching moment, I guess.